The USA contributes only 1% of the 100 billion dollar worldwide aquaculture industry and meanwhile imports nearly 90% of the seafood consumed here. There is a real opportunity for increased development of sustainable aquaculture that can feed and support our communities. Living Ocean Productions presents a detailed look at the success stories from around the country, and the possibilities available if we continue to explore the potential for aquaculture industry growth. Meet the farmers growing & harvesting catfish, salmon, oyster, and mussels, and learn about their dedication to environmental sustainability, community engagement, and high quality products. In the interest of promoting local business and sustainable seafood, the Port of San Diego has created a process to support local development concepts with their first business incubator – and it’s aimed at aquaculture. The Aquaculture Business Incubator will further the Port’s broader mission to promote fisheries, commerce, navigation, and recreation, by focusing on aquaculture partnerships. And they are ready to receive proposals immediately. 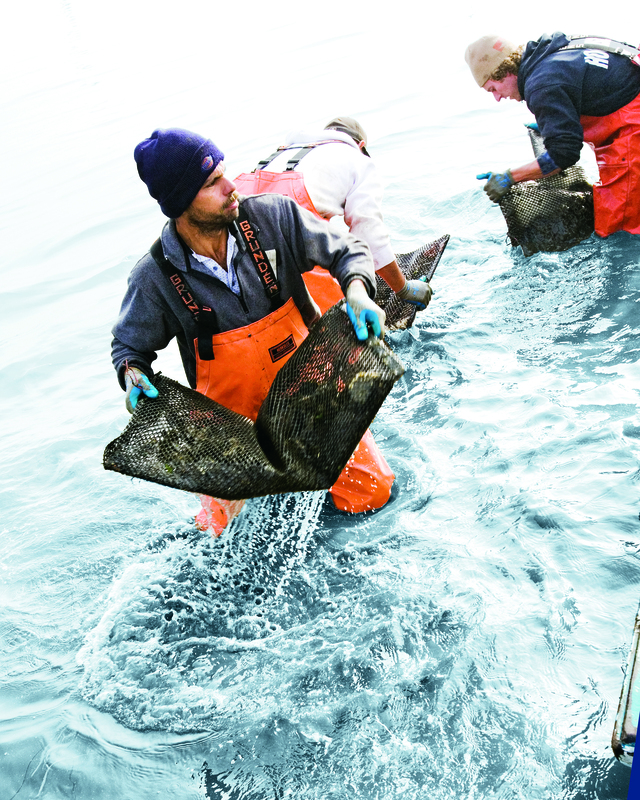 Courtesy of Hog Island Oyster Co.
Thirty years ago in Tomales Bay, John Finger started an oyster farm with just $500. But, today he acknowledges it is much more difficult to start a shellfish company in California.